My boys get so excited for Halloween as it means getting lots of candy. Halloween is almost here and my boys are getting their costumes ready. One of the boys is reusing a costume from last year while the other wants to make his. We bought the required black clothes the other day at the resale shop and ordered some glow in the dark fabric paint so he can be a skeleton. My boys just love being able to dress up as for them it means a wonderful night of collecting lots of treats. The excitement of all these treats just makes my boys so hyper as they think that this just might be the year mom lets them have control of all the candy. Think again boys as this mom is not going to allow my boys to be sick with all that sugar. My boys are allowed 2 treats on Halloween and then the rest gets put away. My boys then get one treat a day from their loot bag until the thrill wears off, usually in two weeks. I am sure many moms feel the same way with Halloween candy so I am going to share some great ideas for healthy Halloween treats for handing out to trick or treaters. This is a favorite snack item at our house. My neighbor has been handing out unpopped microwave popcorn for many years at Halloween time. My boys always go to her house first as they love receiving this treat. Fruit Cups Fruit is always on the healthy snack list in our house. 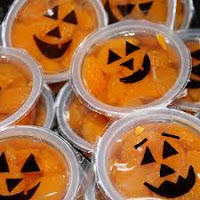 To make this treat extra fun, grab a marker and draw a Jack O Lantern face on the individual cups of fruit. 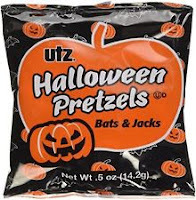 Pretzels Individual bags of pretzels are a healthy snack that kids love to eat. Some stores even sell ones that are decorated for Halloween. Crispy Fruit This is a delicious freeze-dried fruit that comes in many different flavors like pineapple, tangerine, apple, and more. 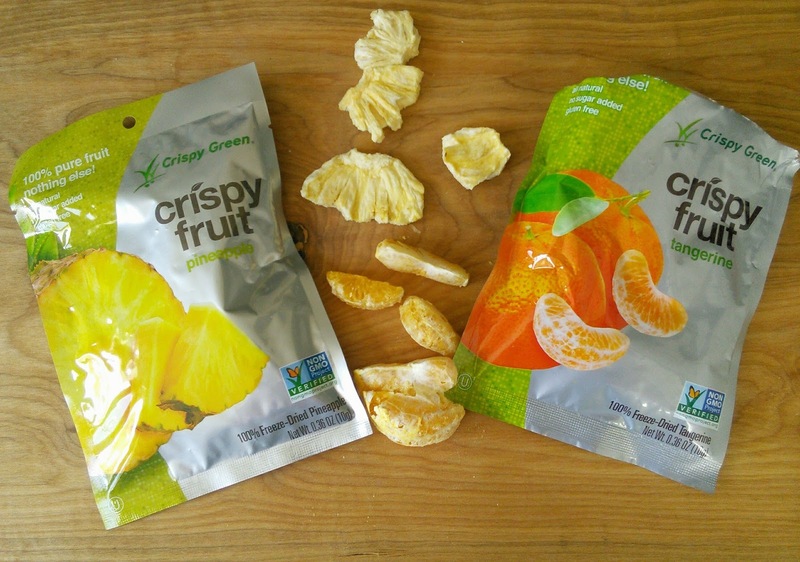 Crispy Green takes 100% fruit, seven different kinds, and freeze dries them into a sweet delicious treat. 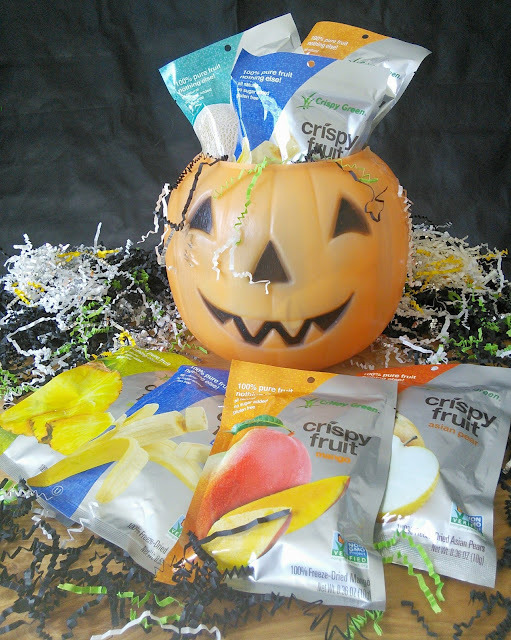 These crunchy fruits are great for kids with allergies are the perfect Halloween treat that kids and parents love! 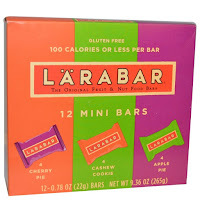 Granola Bars While they can be high in sugar, granola bars are a better option than candy. 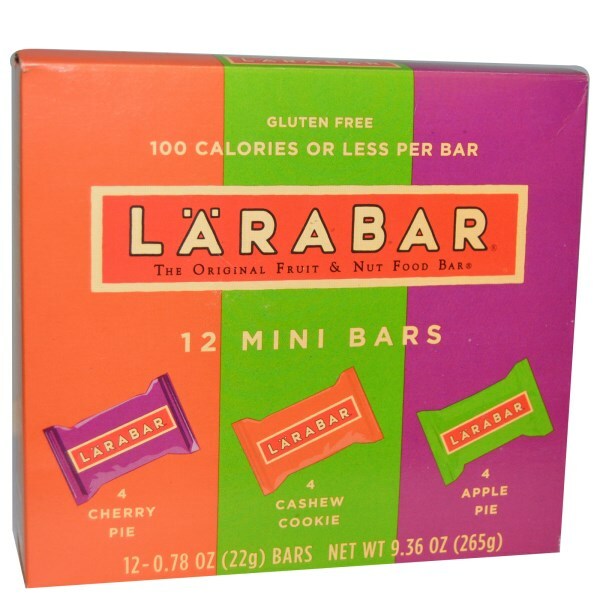 You might be able to find some healthier individually wrapped granola bars. Raisins or Craisins Dried fruit is always a good healthy treat option. These treats come in individual boxes. You can even find some that are covered with yogurt or chocolate, yes they may have more sugar but still better than candy. These are just some items that are great to hand out to the trick or treaters. If you want to go the non-food route, some good choices are glow sticks, stickers, and pencils. 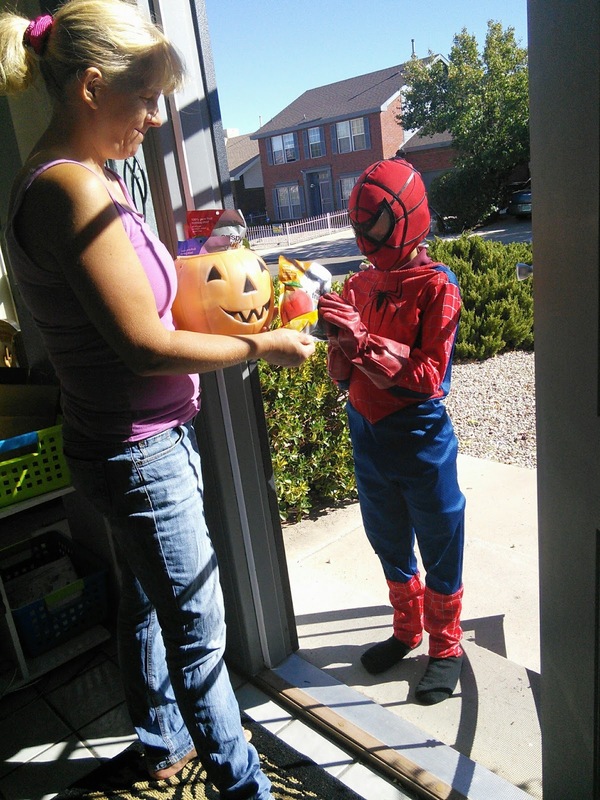 The best way to prevent your child from munching on the candy while trick or treating is to serve them a healthy snack or meal before going out. I like to also bring some healthy snacks with while we are collecting treats. I also have a rule that my boys are not allowed to eat anything from their bag until we get home and inspect the items. When we get home from trick or treating, my boys get four bowls to sort the treats in. Our system in one bowl for healthy treats, one for chocolate, one for candy, and one for unapproved hard and sticky candy. Here is the website to find out more about those delicious Crispy Green freezed -dried fruits. 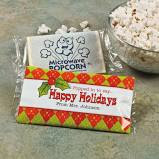 My boys love snacking on these. Their favorite fruits are the pineapple and mango. You can find these fruits at stores like SafeWay, WholeFoods, and many more. You can also purchase them online. 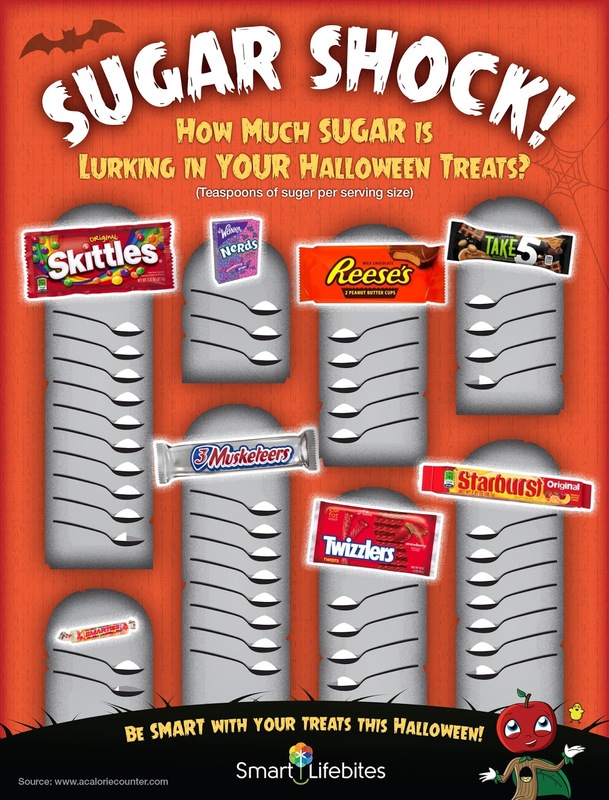 Check out this article about how much sugar is in Halloween candy. It is simply shocking! The article also has more great ideas for healthier Halloween treats. 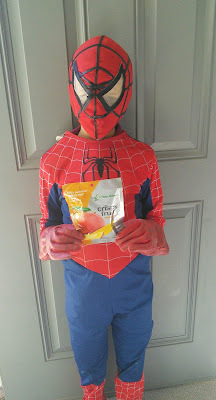 "These opinions are my own and I received samples of Crispy Greens Fruit Snacks to facilitate this post,"
We always do the candy, because we're candy fiends, but my daughter wouldn't be upset if she received one of your suggestions! She loves all of that too. Fruit cups is a great idea. Just goes to show that you can still be healthy on Halloween! Thank you for sharing this. It is a great idea. 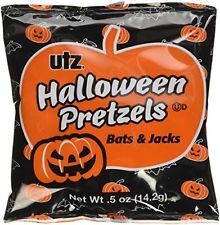 I'll buy all of these for my Trick Or Treaters. This is a cute and healthy idea for the kids that come knocking at your door, I'm sure they will love it! 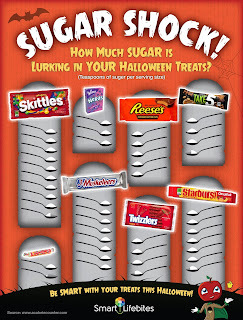 Great that we can think now of options on how to give healthy treats instead of sugar and chocolates. Wish their is also a trick or treat here in Philippines! Im sure this is so fun to do. You've provided lots of good options. Well done. I agree these are great treats! These are such great alternatives to the usual treats. I used to get sick of candy after the first couple days anyhow! Wow, love this :) Such a great idea! wow, these are cool ideas! I'll get some of these this weekend. Thanks for sharing! Loving your ideas! These will make kids and their parents happy! Great ideas for Halloween treats! My little sisters in law would love to try this :-) But, my sons are growing up and they do not do anything with Halloween. Raisins are good, and they're healthier than most treats. These ideas and treats can also be used for Xmas socks! In our neighborhood, kids would knock on our doors and say trick or treat. But they expect no trick but pure treats like cAndies and coins. It is a nice practice we have been doing for years.